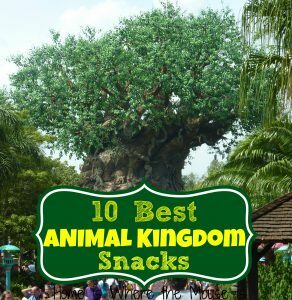 What are our favorite Animal Kingdom Snacks? 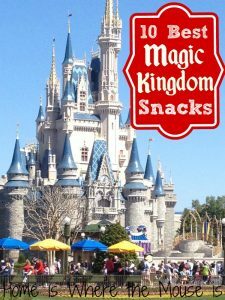 Welcome back to our Disney snack series! We hope you have enjoyed all the tasty tidbits we’ve dished up so far. 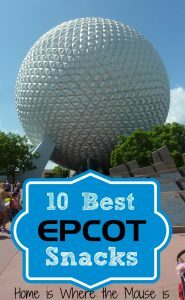 If you’re new to the series, check out our other installments from the Magic Kingdom and Epcot. 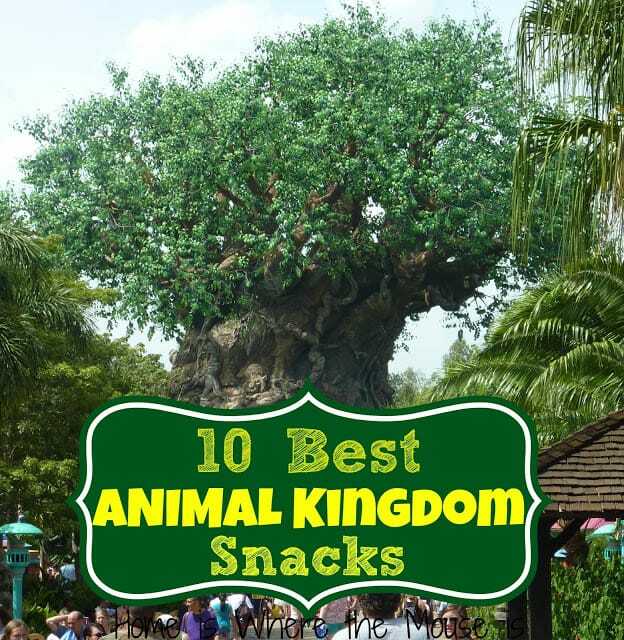 In this edition, we’re going on safari in search of the 10 Best Animal Kingdom snacks. 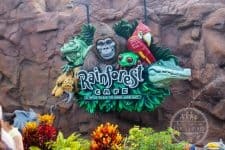 While Magic Kingdom has the fun snacks and Epcot boasts the international fare, Animal Kingdom is home to some of the most unique snacks on property. 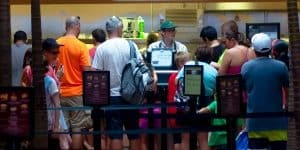 With the recent opening of Harambe Market and the revamped menus at other locations, Animal Kingdom is quickly turning into a go-to snack destination. 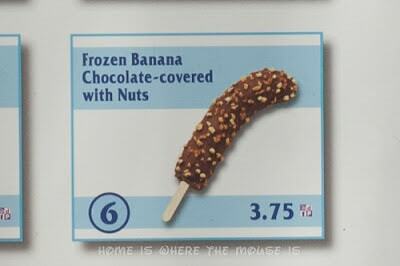 I must admit, the only snack I usually get on our Animal Kingdom day is a chocolate covered frozen banana. 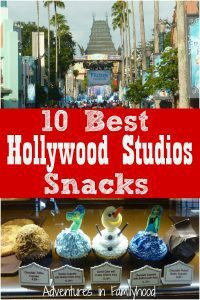 So when compiling this list I technically made a bucket list of snacks I want to try on our next visit. I also added in some family favorites and snacks I know my family will love. 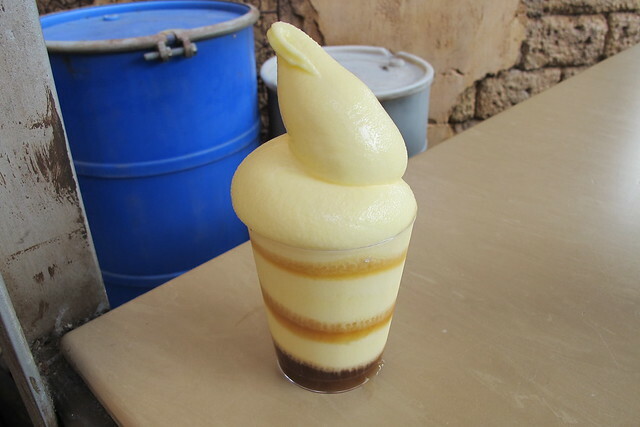 There’s just something about being in Animal Kingdom that makes me crave this treat. It’s perfect for hot days and for satisfying your sweet tooth. Besides it’s mostly a banana and that’s healthy! You can’t go wrong when you choose any of the treats on their menu. 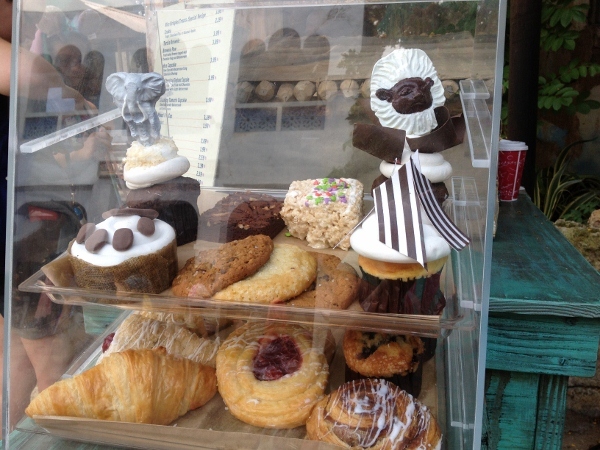 They are especially well known for their cupcakes, Lion Cub, White Chocolate Elephant and the Zebra. Honorable mention goes to the Brownie Paw. 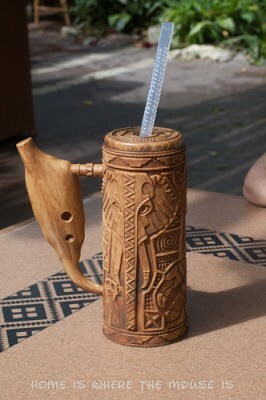 The traditional Aloha Isle Dole Whip is taken to a whole new level with the addition of dark rum. 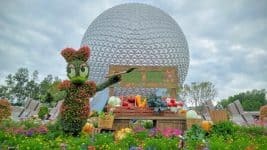 This treat had its debut during Epcot’s International Flower and Garden Festival. It can now be found full time on Tamu Tamu’s new desserts only menu. 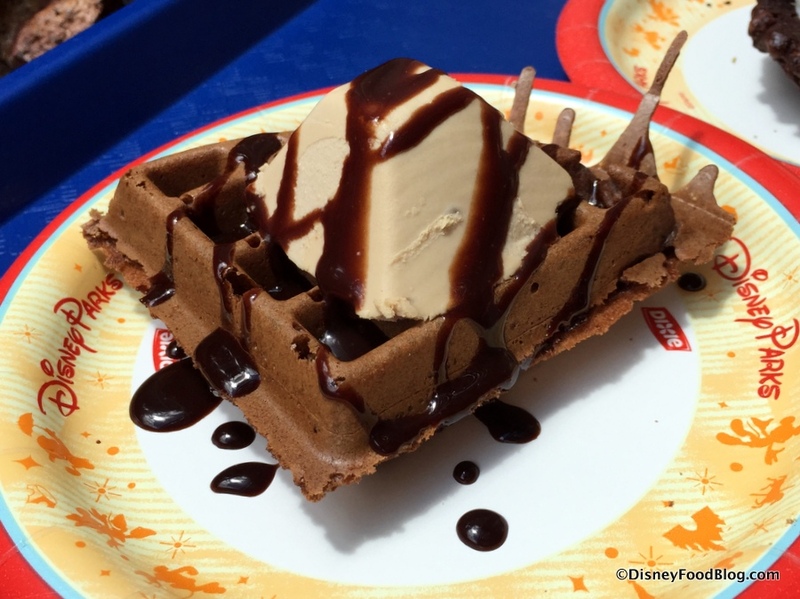 It you prefer your Dole Whip the traditional way, then maybe try the Chocolate Waffle from Tamu Tamu. As a big chocolate and coffee junkie, this is right up my alley. It has always been my tradition to make a stop at Royal Anandapur Tea Company for an iced tea on my way to Kali River Rapids. However, I may need to get the Frozen Chai next time around. 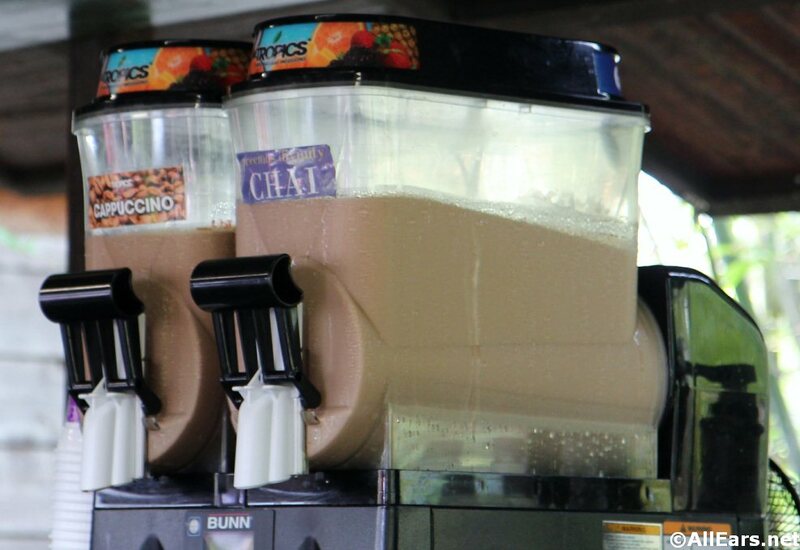 As a fan of chai tea, this is a refreshing twist and perfect for steamy Animal Kingdom day. When I’m at home, I tend to snack healthy. 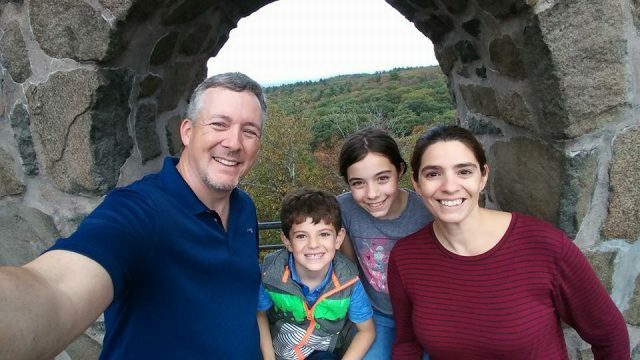 Why on Earth would I want to do that on vacation? 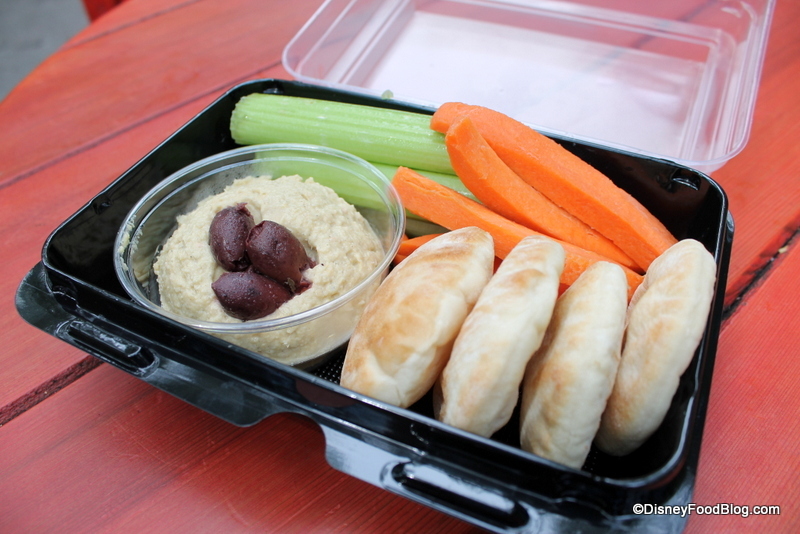 But for some reason, this combo of veggies, hummus and pita look to good to pass up. Plus it looks big enough for sharing. If you want to be even healthier, consider the edamame here instead. As I said in the beginning, Animal Kingdom snacks are quite unique. While this is not on my list, I know it’s something James would like. 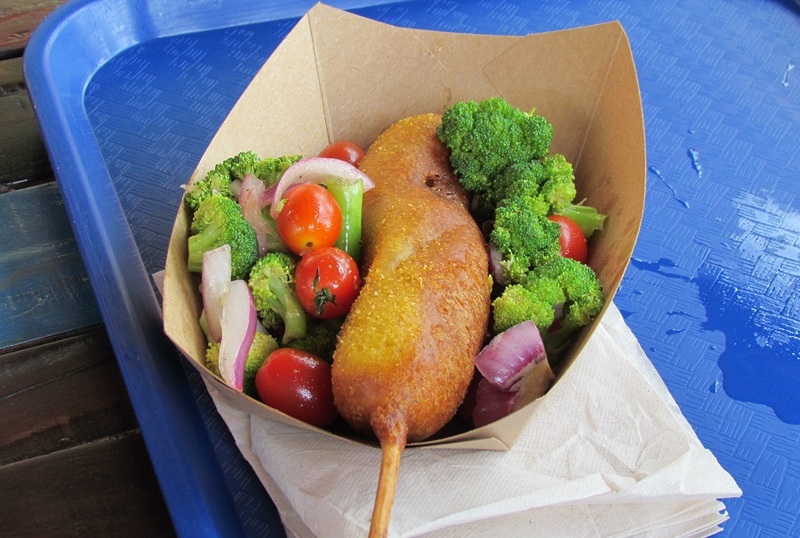 It’s not your everyday corn dog! Instead of hot dog it’s a Boerewers sausage. It’s dipped in a curry-infused corn batter. Quite interesting! Choose this if you’re looking for a snack that’s more like a meal or a light lunch. It’s filled with protein and veggies. The convenient to-go container makes it easy to eat while you walk around the park. An added bonus is that for only $3.99 it’s a huge portion, suitable for sharing. My kids are totally going to flip for these snow cones. Since we usually go to WDW in the summer and Animal Kingdom is one of the hottest park, these treats are perfect for a mid afternoon cool down after playing in the Boneyard. Flavor choices are blue raspberry, grape or cherry. Yes, yes, I know, I’m adding a drink and calling it a snack…again! But trust me you won’t regret this one. Our beloved passion fruit, orange and guava juice or POG juice (usually served at Tusker House and ‘Ohana) has been turned into a slush! 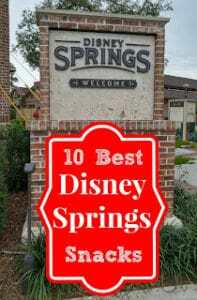 We did a quick review after we tried it last summer. An added bonus is can come in a souvenir musical mug! 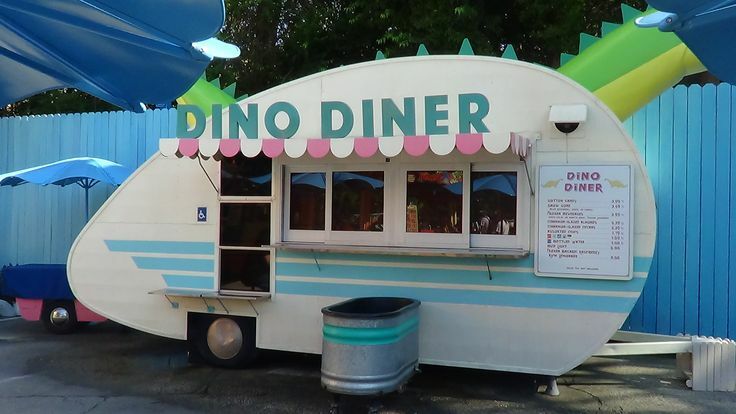 So there you have it, our 10 best Animal Kingdom snacks. Did we include your favorite? Are there any new snacks you think we should try? Let us know in the comments. 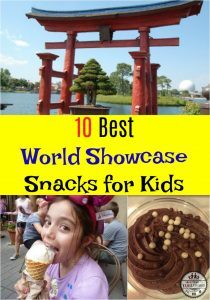 Be sure to check out our favorite snacks from the rest of Walt Disney World. Happy snacking! Fried Rice as a snack? Add a Turkey leg and iced water and you will have lunch. Great idea. Thanks for your tips. That banana looks delish!! Thanks for the rice tip! And I'd like to try that corn dog! so interesting! Have a banana freak in my group so that’ll be great and might break from my Dining plan to get the POG ina musical cup. Very cool. One I’m going to try when we arrive is the small Mac n cheese. They come in 3 varieties .